This playful K-9 feautres a big bouncing area for up to 6 patrons and child-safe mesh netting windows that allow for great visibility. 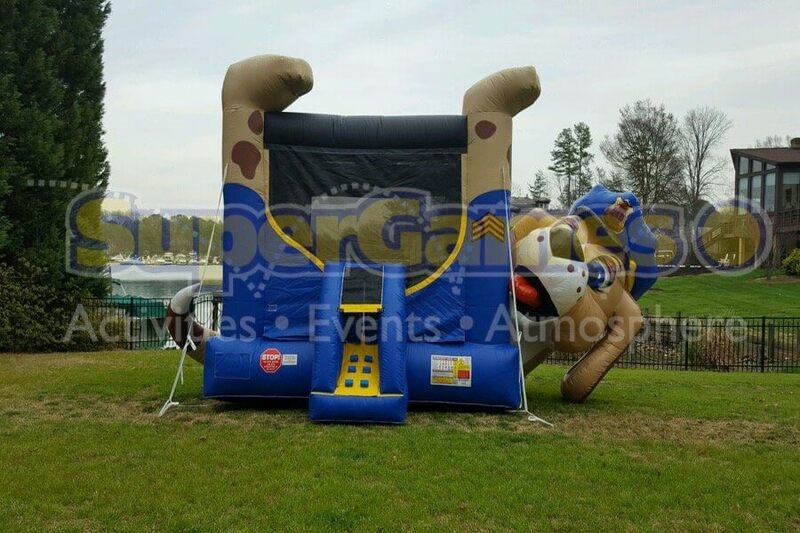 This unit is perfect for indoor and outdoor events. 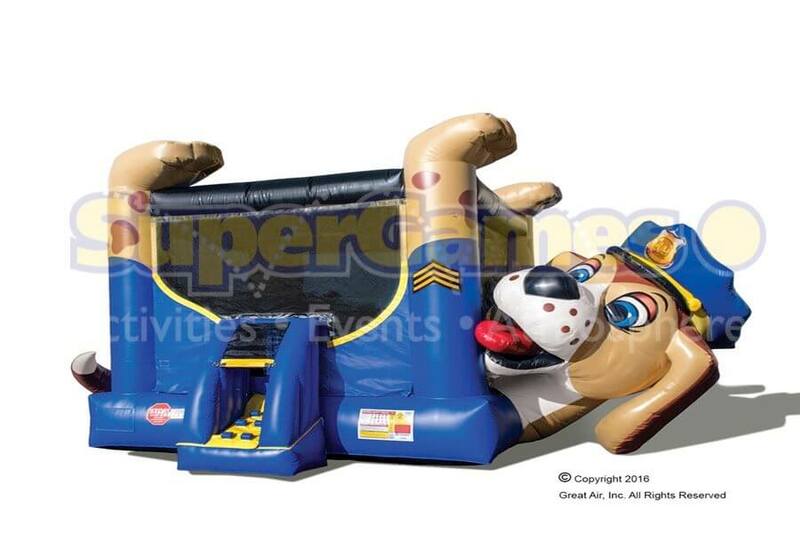 Bring the Police Dog Bounce to your next event!